Achieving your goal weight can be tough. While weight tends to come off fairly rapidly at first, at some point it seems as though your weight won’t budge. This inability to lose weight is known as a weight loss plateau or stall, and it can be frustrating and discouraging. However, several strategies may help you begin to lose weight again. Here are 14 tips to break a weight loss plateau. Research has confirmed that low-carb diets are extremely effective for weight loss. In fact, one large review of 13 studies with follow-up lasting at least a year found that people who consumed 50 or fewer grams of carbs per day lost more weight than those following traditional weight loss diets. Reducing your carb intake may help get your weight moving in the right direction again when you feel hopelessly stalled. 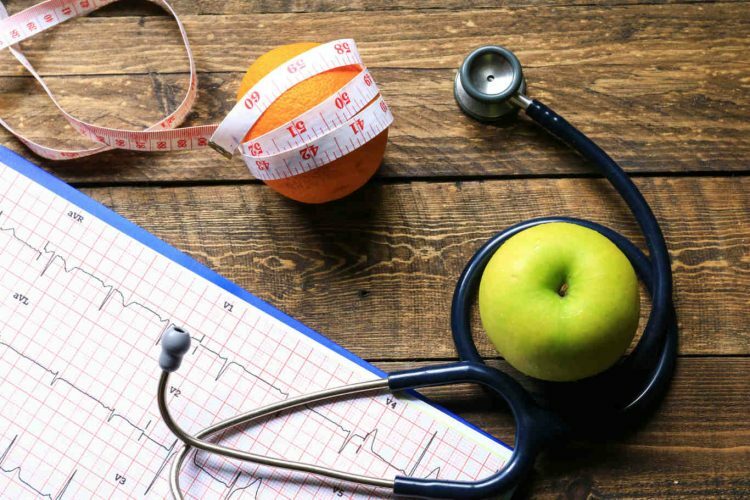 Whether carb restriction leads to a “metabolic advantage” that causes your body to burn more calories is a question that continues to be debated among nutrition and obesity experts. Some controlled studies have found that very low-carb diets increase fat burning and promote other metabolic changes that favor weight loss, while other studies haven’t shown this effect. However, very low-carb diets have consistently been shown to reduce hunger and promote feelings of fullness more than other diets. In addition, they cause your body to produce ketones, which have been shown to reduce appetite. This may lead you to unconsciously eat less, making it easier to begin losing weight again without hunger or discomfort. Summary: Research has found that low-carb diets help control hunger, provide feelings of fullness and promote long-term weight loss. Revving up your exercise regimen may help reverse a weight loss plateau. This is because, unfortunately, your metabolic rate slows down as you lose weight. One study including more than 2,900 people found that for every pound (0.45 kg) of weight they lost, they burned 6.8 fewer calories, on average. As weight declines, the progressive reduction in metabolic rate can make continued weight loss extremely difficult. The good news is that exercise has been shown to help counteract this effect. Resistance training promotes the retention of muscle mass, which is a major factor influencing how many calories you burn during activity and at rest. In fact, resistance training seems to be the most effective type of exercise for weight loss. In a 12-week study, young, obese women who followed a low-calorie diet and lifted weights for 20 minutes daily experienced an average loss of 13 pounds (5.9 kg) and 2 inches (5 cm) from their waistlines. 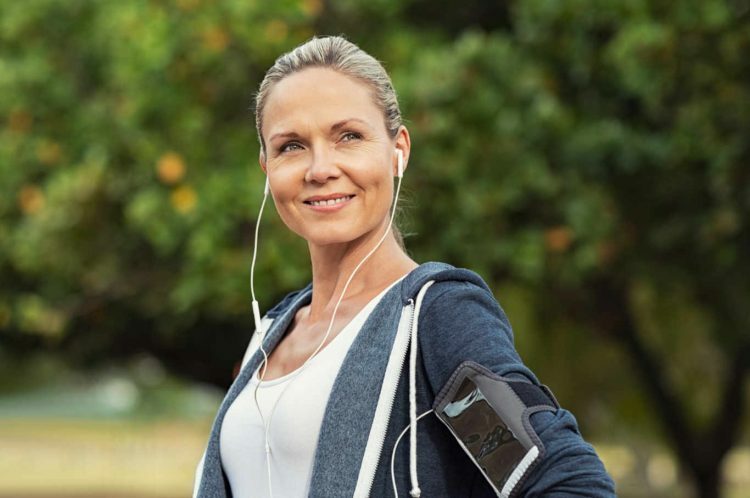 Other types of physical activity have also been shown to protect against a metabolic slowdown, including aerobic exercise and high-intensity interval training (HIIT). If you’re already exercising, working out an extra 1–2 days per week or increasing the intensity of your workouts may help boost your metabolic rate. Summary: Performing exercise, especially strength training, can help offset the drop in metabolic rate that occurs during weight loss. Sometimes, it may seem as though you’re not eating that much, yet you still have difficulty losing weight. Overall, researchers have reported that people have a tendency to underestimate the amount of food they eat. In one study, obese people reported consuming about 1,200 calories per day. However, a detailed analysis of their intake over a 14-day period showed that they were actually consuming nearly twice that amount, on average. Tracking your calories and macronutrients — protein, fat and carbs — can provide concrete information about how much you’re taking in. This will allow you to modify your diet if needed. In addition, research suggests that the act of recording your food intake alone may enhance your weight loss efforts. Here’s a review of several user-friendly apps and websites to track your nutrient intake. Summary: Tracking your calorie and macronutrient intakes can provide accountability and help you see whether you need to make some dietary adjustments in order to begin losing weight again. If your weight loss has stalled, increasing your protein intake may help. First, protein boosts metabolic rate more than either fat or carbs. This has to do with the thermic effect of food (TEF), or increase in metabolism that occurs due to the digestion of food. Protein digestion boosts calorie burning by 20–30%, which is more than twice as much as fat or carbs. In one study, healthy, young women followed diets that provided 30% or 15% of calories from protein on two separate days. Their metabolic rate increased twice as much after meals on the higher-protein day. Second, protein stimulates the production of hormones, such as PYY, that help reduce appetite and make you feel full and satisfied. Moreover, maintaining a high protein intake can help protect against the loss of muscle mass and a drop in metabolic rate, both of which typically occur during weight loss. Summary: Increasing protein intake can help reverse a weight loss stall by boosting metabolism, reducing hunger and preventing muscle mass loss. Stress can often put the brakes on weight loss. In addition to promoting comfort eating and triggering food cravings, it also increases your body’s production of cortisol. Cortisol is known as the “stress hormone.” While it helps your body respond to stress, it can also increase belly fat storage. What’s more, this effect seems to be stronger in women, who tend to carry more weight in this area to begin with. Therefore, producing too much cortisol can make weight loss very difficult. It may seem as though you have little control over the stress in your life, but research has shown that learning to manage stress can help promote weight loss. In one eight-week study of 34 overweight and obese women, a stress-management program that included muscle relaxation and deep breathing led to an average weight loss of 9.7 pounds (4.4 kg). Summary: The increased cortisol production that’s associated with stress can interfere with weight loss. Stress-reduction strategies may help promote weight loss. Intermittent fasting has become very popular recently. It involves going for long periods of time without eating, typically between 16–48 hours. The practice has been credited with promoting the loss of body fat and weight, in addition to other health benefits. A review of several intermittent fasting studies found that it led to a 3–8% weight loss and 3–7% decrease in waist circumference within 3–24 weeks. Alternate-day fasting is a form of intermittent fasting in which people alternate between eating very few calories on one day and as much as they want the next. One review found that this way of eating helped protect against muscle mass loss more than daily calorie restriction. To learn about six different methods of intermittent fasting, read this article. Summary: Intermittent fasting may help you consume fewer calories, maintain muscle mass and preserve your metabolic rate during weight loss. Alcohol may be sabotaging your weight loss efforts. Although one alcoholic drink (4 ounces of wine, 1.5 ounces of hard liquor or 12 ounces of beer) contains only around 100 calories, it provides no nutritional value. In addition, many people have more than one drink at a sitting. Another problem is that alcohol loosens inhibitions, which may lead you to overeat or make poor food choices. This may be especially problematic for those trying to overcome impulsive food-related behaviors. One study of 283 adults who completed a behavioral weight loss program found that reducing alcohol intake led to a reduction in overeating and greater weight loss among those with high levels of impulsivity What’s more, research has shown that alcohol suppresses fat burning and may lead to belly fat accumulation. If your weight loss has stalled, it may be best to avoid alcohol or only consume it occasionally in small amounts. Summary: Alcohol may interfere with weight loss by providing empty calories, making it easier to overeat and increasing belly fat storage. Including more fiber in your diet may help you break through a weight loss plateau. This is especially true for soluble fiber, the type that dissolves in water or liquid. To begin with, soluble fiber slows down the movement of food through your digestive tract, which can help you feel full and satisfied. Although research suggests that all types of fiber may be beneficial for weight loss, a large review of several studies found that a soluble fiber known as viscous fiber was most effective at keeping appetite and food intake under control. Another way that fiber may aid weight loss is by decreasing the number of calories you absorb from other foods. Based on a study analyzing calorie absorption among diets with varying amounts of fiber, researchers estimated that increasing daily fiber intake from 18 to 36 grams could lead to 130 fewer calories being absorbed from mixed meals. Summary: Fiber promotes weight loss by slowing the movement of food through your digestive tract, decreasing appetite and reducing the number of calories your body absorbs from food. While sugary beverages lead to weight gain, some beverages may help reverse a weight loss stall. Studies have found that plain water can boost metabolism by 24–30% for 1.5 hours after drinking a 17-ounce (500-ml) serving. This may translate into weight loss over time, especially in those who consume water before meals, which may help reduce food intake. In a 12-week study of older adults who followed a weight loss diet, the group who consumed one serving of water before meals lost 44% more weight than the non-water group. Coffee and tea may also benefit your weight loss efforts. These beverages typically contain caffeine, which has been shown to increase fat burning and boost metabolic rate by up to 13%. However, these effects seem to be strongest in lean individuals. 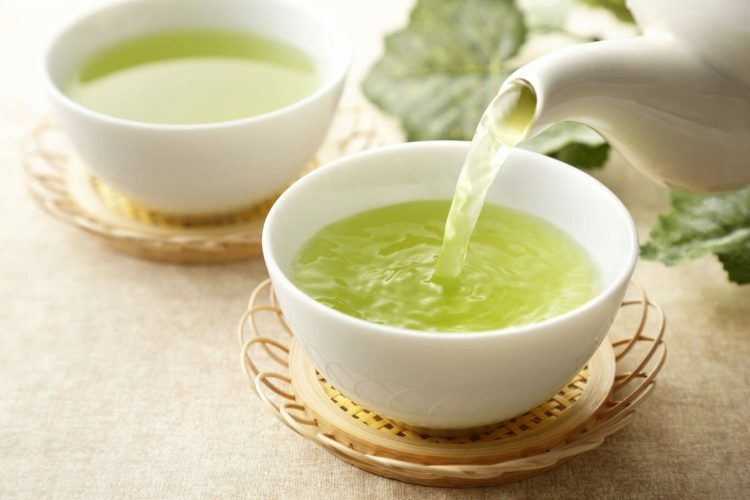 In addition, green tea contains an antioxidant known as EGCG (epigallocatechin gallate), which was found to boost fat burning by 17% in one study. Moreover, research suggests that consuming caffeinated beverages can significantly enhance the metabolism-boosting, fat-burning effects of exercise. Summary: Drinking water, coffee or tea can help boost your metabolic rate and assist with weight loss. Caffeine and EGCG have been shown to promote fat burning. When it comes to protein, it’s not just your total intake for the day that matters. Consuming protein throughout the day provides you with several opportunities to boost your metabolism through the thermic effect of food (TEF). There’s also mounting research showing that eating protein at every meal is beneficial for weight loss and muscle mass retention. Experts in protein metabolism recommend that adults consume a minimum of 20–30 grams of protein per meal, based on three meals per day. Here is a list of 20 delicious, high-protein foods that can help you meet this goal. Summary: To boost your metabolic rate and promote weight loss, include at least 20 grams of protein at each meal. Sleep is extremely important for good mental, emotional and physical health. It’s also becoming clear that not getting enough sleep can lead to weight gain by lowering your metabolic rate and altering hormone levels to drive appetite and fat storage. In fact, not getting enough sleep may be a contributing factor in cases of stalled weight loss. One study found that healthy adults who slept four hours per night for five nights in a row experienced an average 2.6% decrease in resting metabolic rate, which returned to their baseline levels after they slept for 12 hours. To support weight loss and overall health, aim for 7–8 hours of sleep per night. Summary: Insufficient sleep can interfere with weight loss by reducing your metabolic rate and shifting your hormone levels to promote hunger and fat storage. Although working out is important, other factors also influence the number of calories you burn each day. For example, your metabolic rate increases in response to fidgeting, changing posture and similar types of physical activity. These types of activity are known as non-exercise activity thermogenesis, or NEAT. Research has shown that NEAT can have a major impact on your metabolic rate, although the amount varies significantly from person to person. One study found that compared to lying down, people’s metabolic rates increased by an average of 54% when fidgeting while seated and a whopping 94% when fidgeting while standing. An easy way to increase your NEAT is by standing up more often, including using a standing desk. Another study found people who stood rather than sat during the afternoon portion of their workday burned nearly 200 additional calories, on average. Summary: Increasing your daily non-exercise physical activity can help boost your metabolic rate and promote weight loss. Vegetables are the ideal food for weight loss. Most vegetables are low in calories and carbs, high in fiber and loaded with beneficial nutrients. In fact, studies have found that diets that include lots of vegetables tend to produce the greatest weight loss. Unfortunately, many people don’t get enough of these weight loss friendly foods. However, it’s easy to add a side of cooked or raw greens, tomatoes or other veggies at any meal, including breakfast. Here is a list of healthy, low-carb vegetables to include at mealtimes. Summary: Vegetables are loaded with important nutrients, yet low in calories and carbs. Including them at every meal may help you reverse a weight loss plateau. When trying to lose weight, hopping on the scale is likely part of your daily routine. However, it’s important to realize that the scale reading may not accurately reflect your progress, such as changes in your body composition. Rather than weight loss, your goal is actually fat loss. If you’re working out regularly, you may be building muscle, which is denser than fat and takes up less room in your body. So if the scale weight isn’t moving, you could be building muscle and losing fat, yet maintaining a stable weight. In addition, you may retain water for a number of reasons, including your dietary choices. 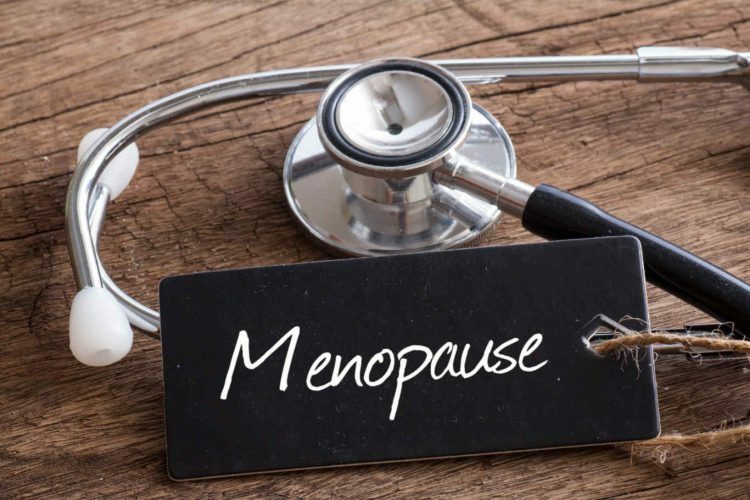 However, the most common reason involves changes in hormone levels that affect fluid balance, particularly in women. Fortunately, there are several strategies you can take to help lose water weight. Also, instead of focusing solely on the number on the scale, assess how you feel and how your clothing fits. It’s also a good idea to measure yourself on a monthly basis to help keep yourself motivated when your weight loss seems to have stalled. Summary: Your scale weight may not reflect a loss of body fat, especially if you work out or experience fluid retention. Evaluate how you feel, how your clothes fit and whether your measurements have changed instead. Weight loss plateaus can be frustrating and demoralizing. However, they are a normal part of the weight loss process. In fact, nearly everyone experiences a stall at some point on their weight loss journey. Fortunately, there are several strategies you can take to begin losing weight again and safely achieve your goal weight. This article is reprinted with permission from Authority Nutrition.